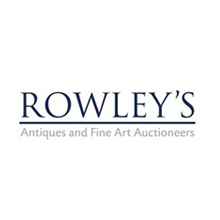 Rowley’s is an independent auction house providing a comprehensive auction and valuation service for private and professional clients throughout East Anglia and the East Midlands. Our experienced team of valuers work closely with leading experts and specialist consultants, most of whom have worked for the major London auction rooms or leading provincial auction houses. We specialise in appraising, marketing and auctioning items for national and international sale and preparing valuations for Inheritance Tax (probate), insurance and family division purposes. We hold quarterly Antiques and Fine Art sales at Tattersalls, in Newmarket and monthly General Antique and Collectables sales at our main salesroom, in Ely.